Repositions the pelvis and spinal column and allows gentle hip, pelvic and low back movement. 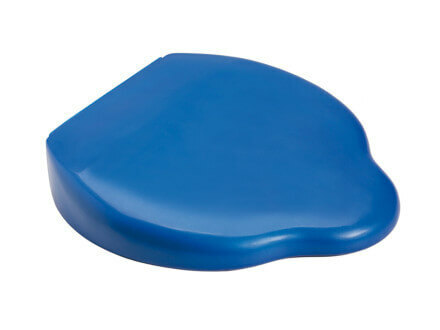 Feels just like sitting on an exercise ball! When positioned on a chair seat, Sit On Air repositions the pelvis and spinal column and allows gentle hip, pelvic and low back movement. The higher back and cut away front creates a cushion which feels similar to a ‘saddle seat’. 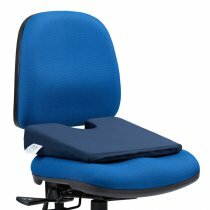 Recommended for those who sit for long periods or those who experience back stiffness or pain which increases with prolonged sitting and is helped by gentle movement. 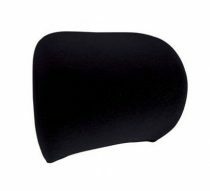 This product belongs to the Medical Device Class I. Please adjust the inflation according to the wished comfort and stability level.